Tiny and sweet, just like your little girl. This minimalist necklace style is all the rage, a customer favorite that is sure to receive endless compliments. 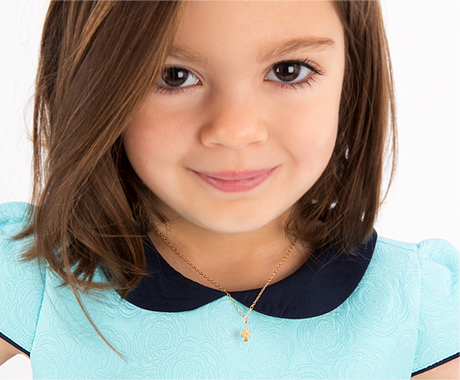 Made entirely of 14k gold and beautifully engraved by skilled professional engravers, this is an invaluable addition to any kid's jewelry box. Beautifully displayed in Tiny Blessing's signature gift wrapping, Valentine's Day is sure to be effortless and unforgettable. She will look so cute in this personalized piece.